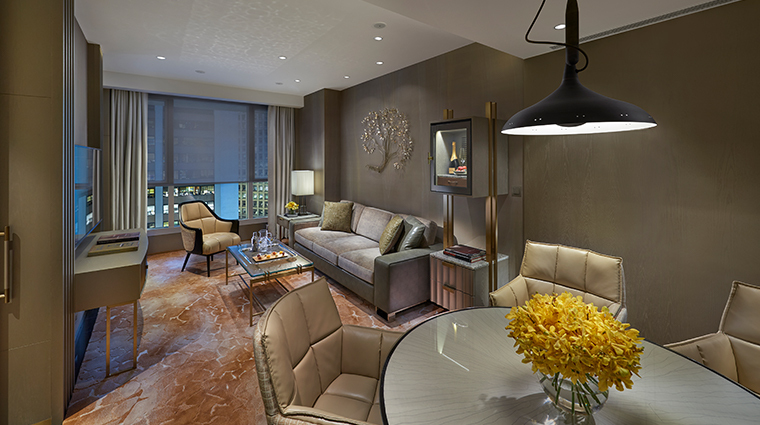 With only 98 rooms and 13 suites, The Landmark Mandarin Oriental is a chic and intimate hotel in the heart of Hong Kong, located right on The Queen’s Road Central in the heart of the city’s business and fashion districts. Outfitted with a modern, streamlined look, the hotel is an oasis for travelers with discriminating taste who appreciate excellent service and who want to be as centrally located as possible. 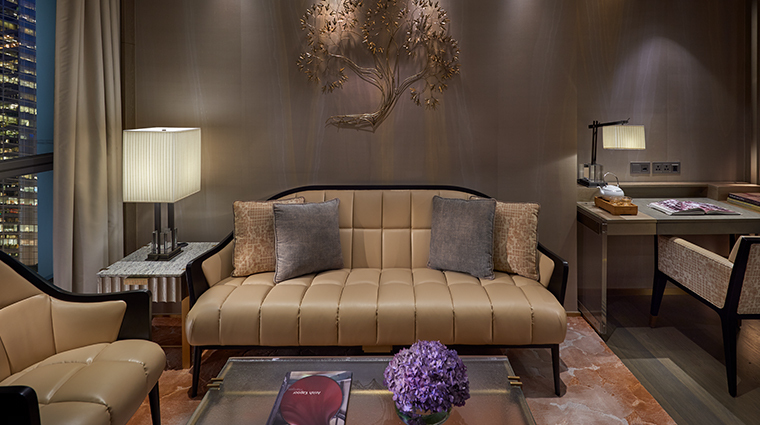 The intimate size of the Forbes Travel Guide Five-Star hotel ensures that the staff will remember you by name throughout your stay, and, indeed, service is some of the best in the city. The uncompromising staff will attend to your every need and whim — maybe before you even knew you needed something. 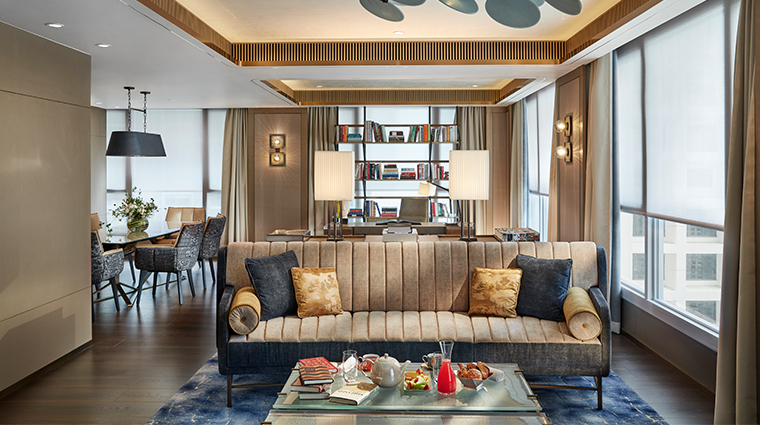 In a city where cutting-edge design and architecture thrives, The Landmark Mandarin Oriental, Hong Kong is at the forefront with its ultra-contemporary, luxurious and subdued design scheme. 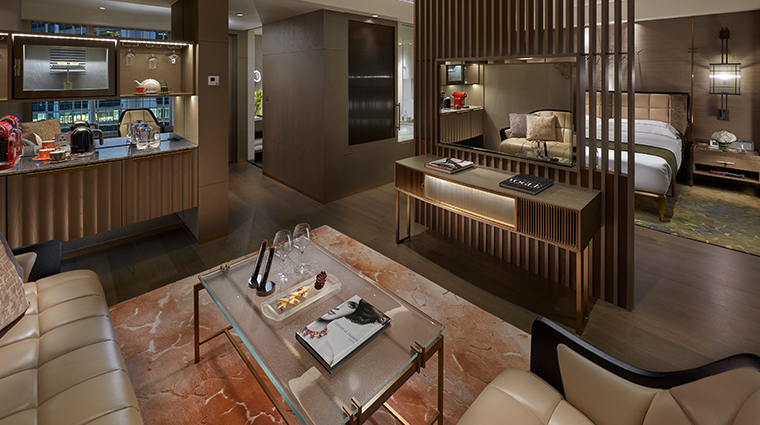 The Landmark Mandarin Oriental, Hong Kong’s doors open straight onto one of Hong Kong’s busiest streets, giving the hotel the feeling of being at the heart of the action. 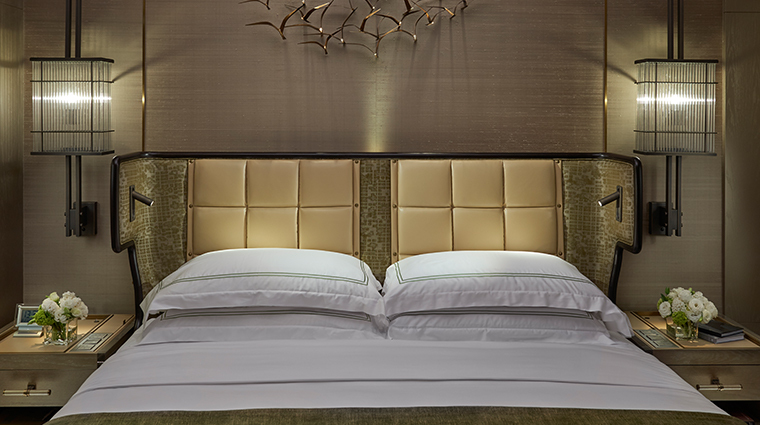 The turndown service at the Hong Kong hotel is truly luxurious. Upon returning to your room in the evening, you’ll find a selection of chocolates, bottled water and a clever dish designed to hold fragrant aromatherapy oils that will induce sleep. 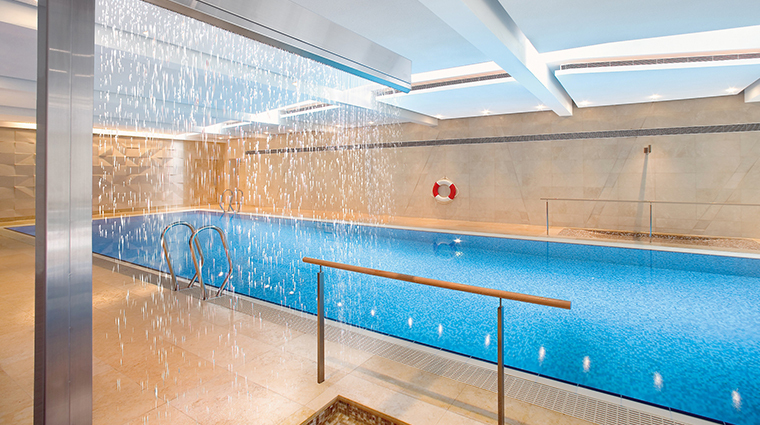 The 15-room Oriental Spa offers an array of luxurious water features to enjoy such as experience showers, vitality pools, ice fountains, amethyst crystal steam rooms, saunas, and Zen relaxation rooms. 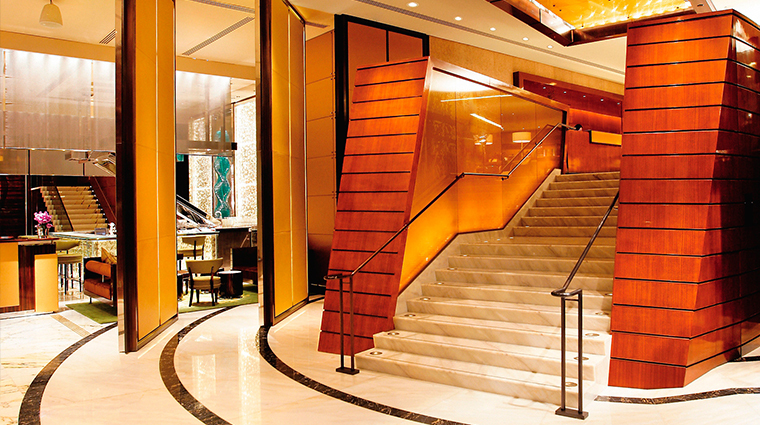 Any craving can be satisfied here, where chef Richard Ekkebus helms Amber, the hotel’s renowned, upscale French restaurant, while expertly prepared cocktails and nibbles can be had at MO Bar, adjacent to the residential-like lobby. No need to worry if you forgot an important cord at home — the Five-Star hotel also provides a technology kit with all of the cables you may need. 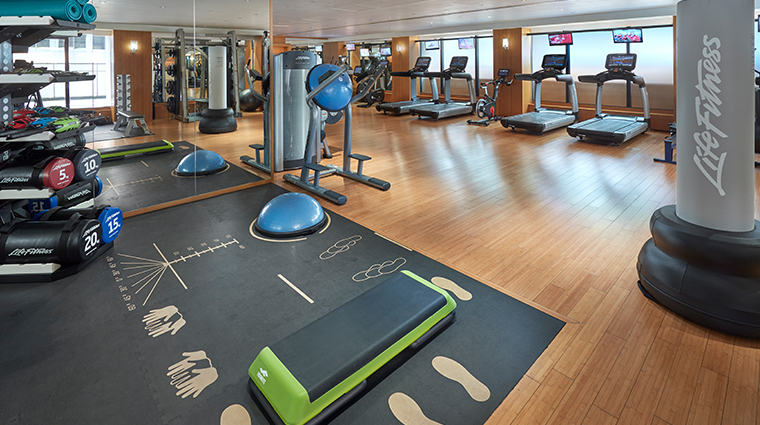 You’ll be able to stay wired during your stay at The Landmark Mandarin Oriental, Hong Kong, but it will come with a fee. 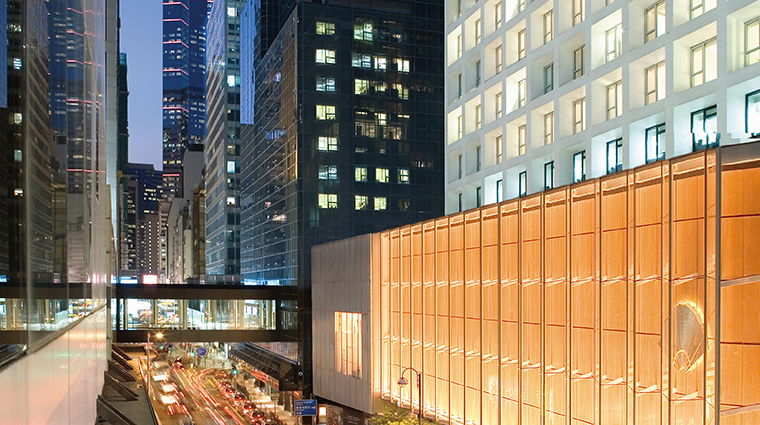 The hotel charges HK$160 (US$20) per day for wireless broadband connection. The hotel is small, with only 113 rooms, and that intimate scale is first noticed in the lobby, which feels like it could be your own living room, with its warm, natural hues. 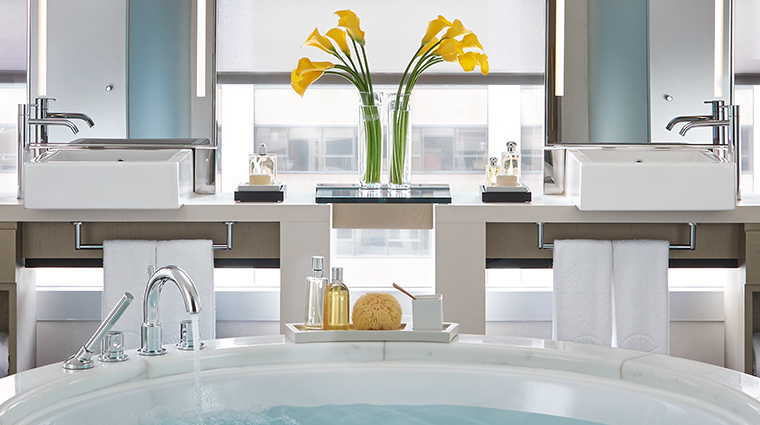 The hotel’s über-contemporary design style extends to streamlined rooms where the bathrooms occupy much of the space. 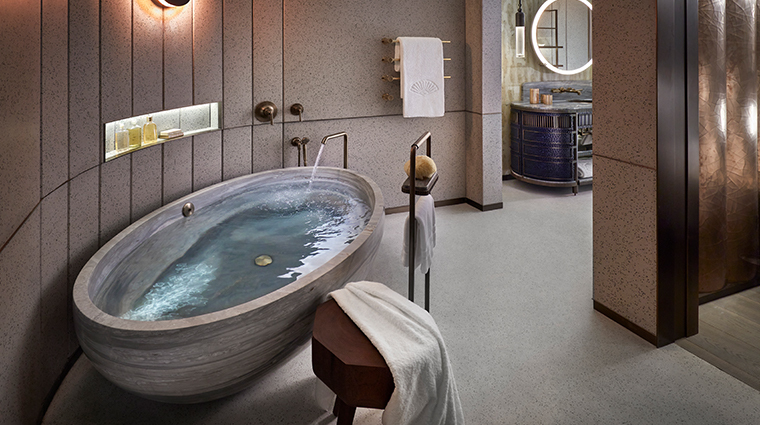 The Landmark Mandarin Oriental, Hong Kong offers some of the best hotel bathrooms we’ve ever seen, thanks to rain showers, ample amenities and in some, huge circular soaking tubs. 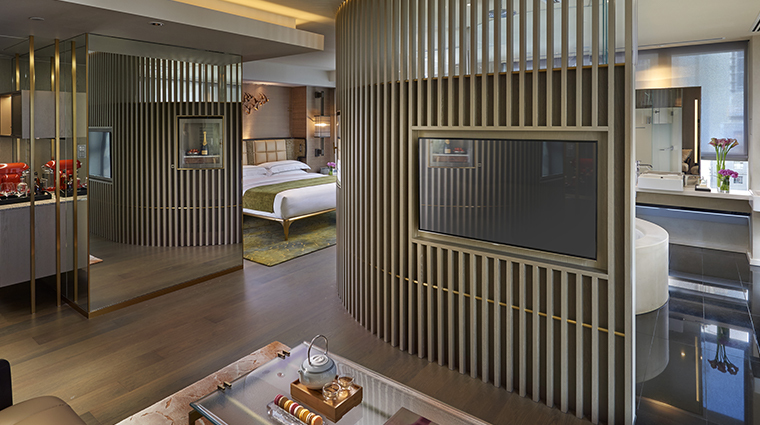 All of the rooms and suites at the Forbes Travel Guide Five-Star hotel have the same sleek, streamlined design, with loads of technological gadgets, from in-room entertainment systems to flat-screen TVs in the bedroom and bathroom. 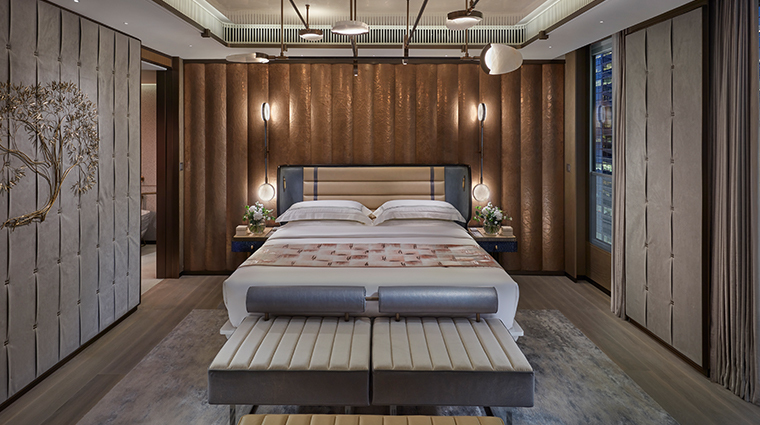 The well-appointed rooms are expertly divided into three distinct spaces: seating, sleeping and bathing, providing the perfect place to unwind after a long day. The Hong Kong hotel’s signature restaurant, Amber, serves contemporary, seasonal French cuisine in an elegant dining room sporting natural hues and a striking bronze chandelier. For dinner, you have four menus to choose from: the five-course Landmark Menu, which focuses on seasonality; the eight-course degustation menu, which focuses on chef Richard Ekkebus’ specialties; the a la carte menu; and, the vegetarian a la carte menu. 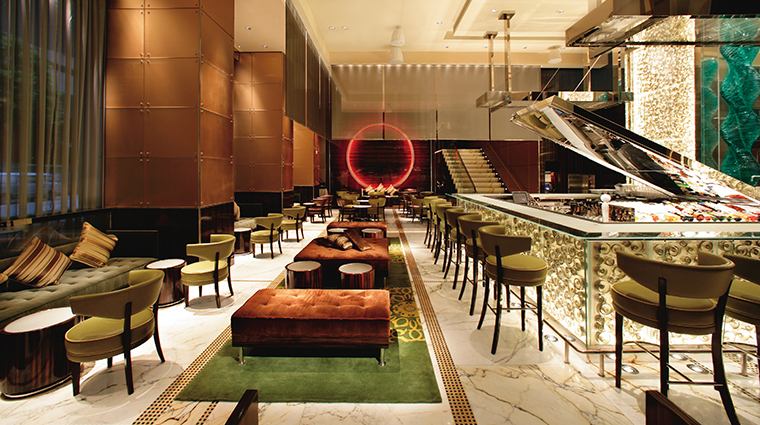 Expect cuisine that’s French classic with creative twists incorporating seasonal Asian ingredients. Think red amadai, a Japanese fish, prepared in a French-style orange and fennel confit and a manni olive oil emulsion. MO Bar features all day dining and delicious cocktails. Breakfast features dim sum, while lunch offers both a la carte and set menu options with specialties like wonton noodle soup and Moroccan chicken. An elegant afternoon tea is available daily at MO Bar featuring a unique selection of sandwiches and pastries accompanied by luxurious tea blends. 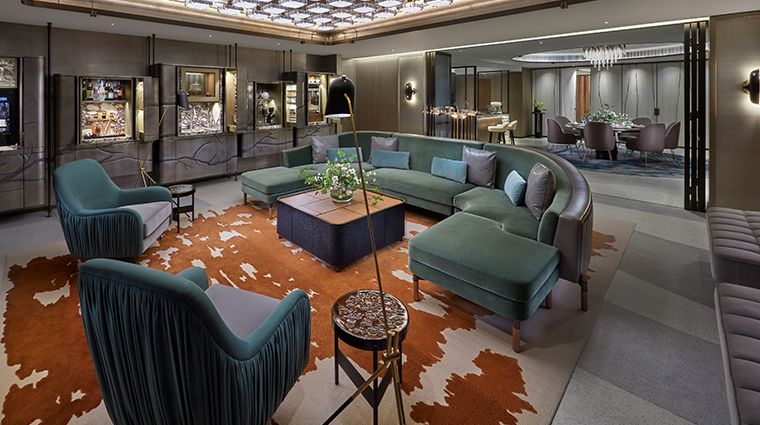 The stylish, 25-guest bar, PDT Hong Kong is new for 2018. A unique collaboration with popular New York spot PDT (Please Don’t Tell), this fresh concept features a phone booth entrance, American comfort foods (bacon-wrapped pork dogs, Okonomiyaki-style tater tots) and a 15-drink cocktail menu.